Emeritus Professor ‘JP’ is a former Dean of the UCT Faculty of Health Sciences; President of the South African Medical Association; President of the Association of Medical Schools of Africa and Executive Council of the World Federation for Medical Education. He was a member of the task force that developed the World Federation for Medical Education (WFME) International Standards in Medical Education. He is currently an Editor Emeritus of the SA Medical Journal. 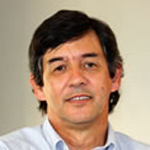 Gregory Hussey is currently the Director of Vaccines for Africa Initiative in the Faculty of Health Sciences (FHS) at UCT. He served as the Interim Dean of the FHS from 2015-2016 and prior to that was the Deputy Dean responsible for research in the Faculty. He also held the position of Director of the Institute of Infectious Diseases and Molecular Medicine at UCT, from 2004 until the end of 2010. Prior to taking up the Director’s position in 2004 he was Professor and Head of Paediatric Infectious Diseases in the School of Child and Adolescent Health at UCT and consultant to the Red Cross Children’s Hospital in Cape Town. 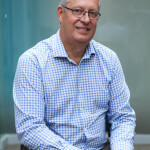 Dudley Cloete-Hopkins is a former special consultant to the CEO of Syfrets Ltd., he is legally trained and has a wealth of experience in the administration of trusts and estate planning and still sits as a trustee of a number of private and public trusts. 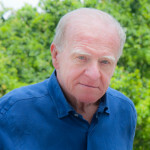 He co-founded the SA National Arts’ Festival with Professors Guy Butler and Roy Sargeant, which he chaired for 12 years; sat on and chaired the funding panel for the performing arts and theatre music for the National Arts’ Council and recently completed two terms of office as a Council member of Artscape, one as deputy chairman. He is a trustee of WWF in SA and chaired the committee which purchased the Kommetjie wetlands to link up the two halves of the Table Mountain National Park; he also chaired the Ukuvuku Trust, which initiated the clearing of alien vegetation in the Western Cape. At UCT he represents the Irma Stern Estate on the museum committee and has chaired the Cancer Research Trust since the mid ‘80s. Goolam Modack is a qualified Chartered Accountant and currently the Head of the College Accounting at the University of Cape Town. He teaches financial reporting at an undergraduate and postgraduate level and has co-authored a number of financial reporting textbooks. Goolam is also non-executive director of companies. 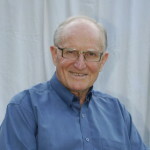 Kit Vaughan’s experience over the past four decades includes a post-doctoral fellowship in orthopaedic engineering at Oxford University, a tenured professorship at the University of Virginia, and 14 years as the Hyman Goldberg Chair in Biomedical Engineering at the University of Cape Town (UCT). 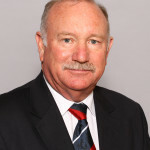 During this latter period, he helped to pioneer the medical device industry in South Africa, contributing to Disa Vascular, Acorn Technologies, Lodox Systems and Strait Access Technologies. Kit is a Fellow of the International Academy for Medical and Biological Engineering, and his qualifications include a BSc (Honours) in applied mathematics and physics (Rhodes), a PhD in musculoskeletal biomechanics (Iowa) and a DSc (Med) in biomedical engineering (UCT). 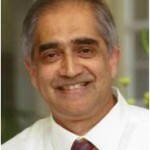 He is an Emeritus Professor at UCT and currently serves as Chief Executive Officer of CapeRay, a company that has developed a novel imaging system for the early detection of breast cancer. 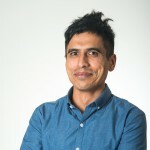 Sidney van Heerden is attached to the University of Cape Town’s Development and Alumni Department as Head of Fundraising – a position he previously also held at Stellenbosch University. He is a former South African career diplomat who served in Austria, Germany and twice in the United Kingdom. He studied at Stellenbosch University majoring in African Studies and Anthropology. He lives in Stellenbosch. Anwar Mall holds a BSc degree with majors in Physiology and Biochemistry from the University of Durban-Westville, a BSc (Hons) Med (1981) and MSc (Surgical Sciences) (1985) from the University of Cape Town and a PhD from the University of Newcastle Upon Tyne, U.K. (1988). His research was on the role of mucus in disease in the surgical research laboratories of the Division of General Surgery at UCT. In 2002/03 he spent a sabbatical at the Cystic Fibrosis Research Unit of the University of Oxford for a period of 3 months as a grantee of the Oppenheimer award and was a guest of the Royal Society at the University College, London for a short period in 2006. He is also an NRF rated scientist and was granted the Golden Key Award (UCT chapter) in 2011. Mall holds a Distinguished Teacher Award for undergraduate teaching (2000), was the Deputy Portfolio Manager for Student Support in the Health Sciences Faculty, a warden in the UCT Student Housing sector (1989-2016) and the Acting Deputy Vice-Chancellor for Student Affairs and Transformation at UCT (2015-2016). He is currently a Senior Scholar in Surgery (2017-2018). © 2014 Cancer Research Initiative. All Rights Reserved.